After our amazing trip to Nepal, we had to get the house ready for a wedding!! 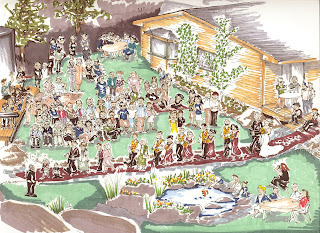 We had the wedding in our own yard, and I must say...it was gorgeous!! So, I tried a couple of different compositions to show the wedding, and didn't like any of them. I finally just decided to draw the whole thing. So, I looked over our numerous photos, and tried to include everyone in the drawing. 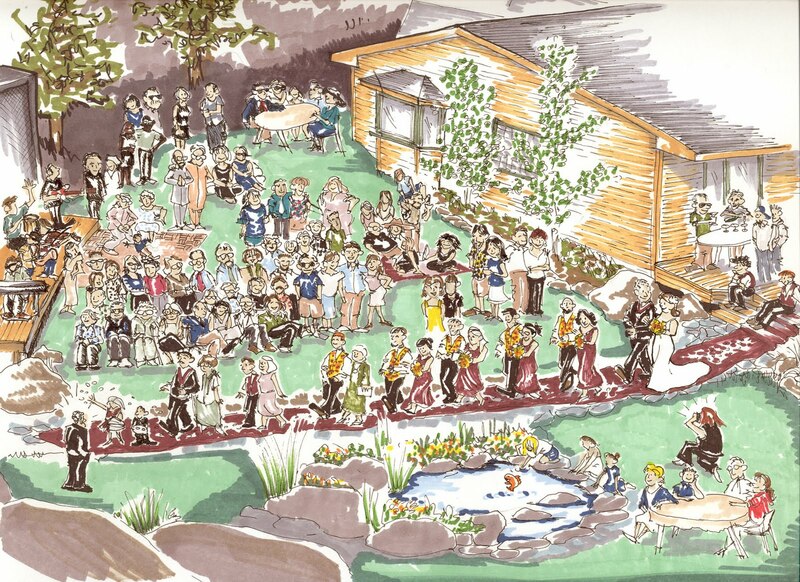 So, if you were at the wedding, look for yourself in this toon. You should be there. If you can't find yourself, let me know. This is a little like "find waldo".